Coal mining and Katanas in Omuta and Arao! Today we had two very different experiences. First, we went to the mining museum in Omuta to learn about the important role the city played in Japan’s industrialization. 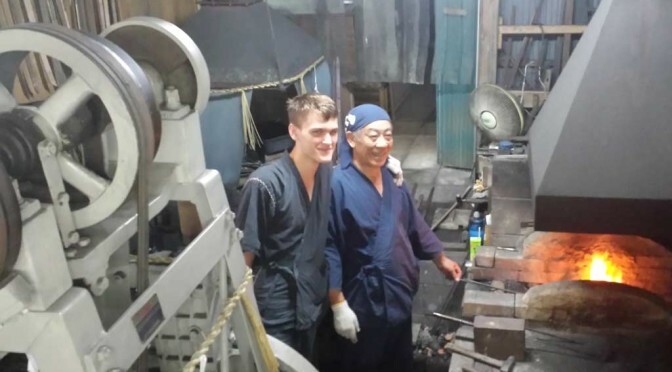 We learned that Omuta is blessed with an abundance of high quality coal, and as such it was perfectly suited for providing the fuel Japan needed for its industrialization efforts. The transfer of technology from the West to the East is something that the Japanese are proud to have been a part of, and since we don’t learn much about it in the west, it was quite interesting. The mining sites are a candidate for becoming a UNESCO world heritage site because of the unique role they played in the history of the world. Our guide in the museum was himself a former coal miner who could tell us more about modern mining techniques in Japan as well, and he was very enthusiastic about teaching us what he knew. After spending some time at the local mall eating lunch and shopping, we went to meet with a katana swordsmith. 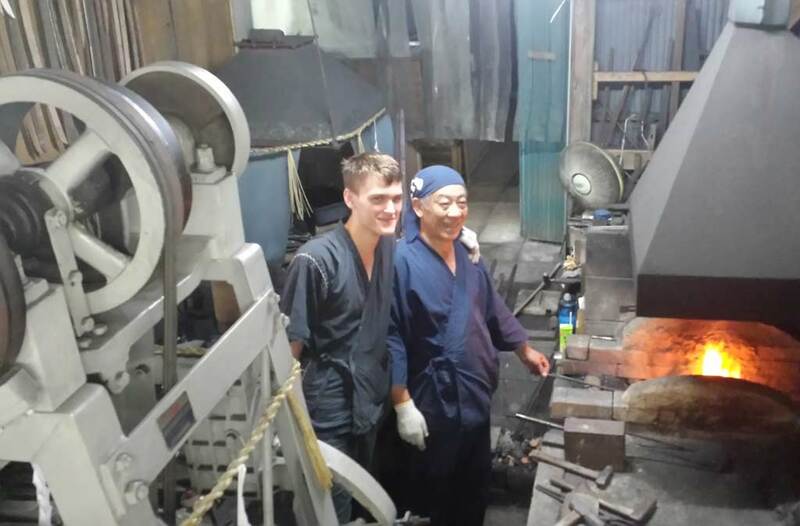 With his 37 years of experience (he is currently 62) he was able to teach us much about the difficult art of making a katana sword. The metal folding process is especially important, since Japanese iron is normally made from iron sand which produces a material that is not necessarily well suited to weapon making. After talking with the swordsmith, we were instructed on how to cut a wet, rolled up, tatami mat in half using a katana. Most of us failed on our first attempt, but I and several others were able to make a clean cut by our second attempt.